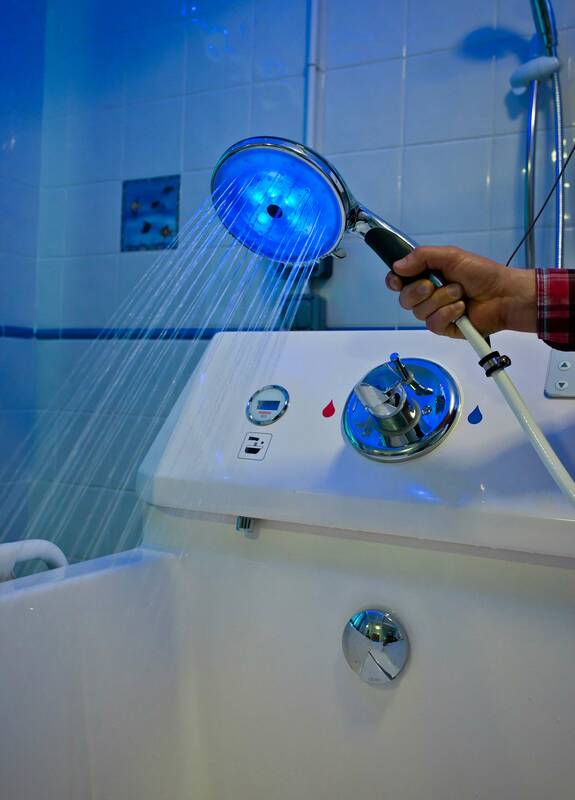 Gwyn Dour and Layland are Short Break respite care settings for young people who have learning disabilities and/or physical health needs. 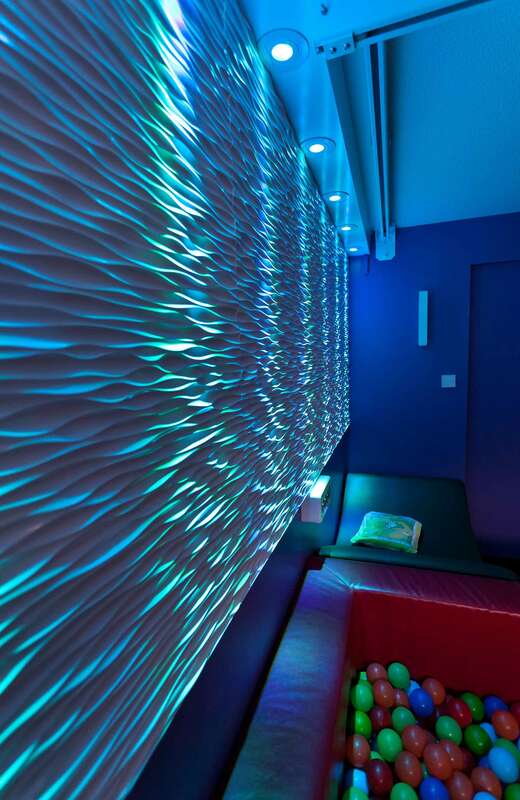 We worked on adding sensory features to various rooms, giving special consideration to the varying needs of the visiting children and carers. 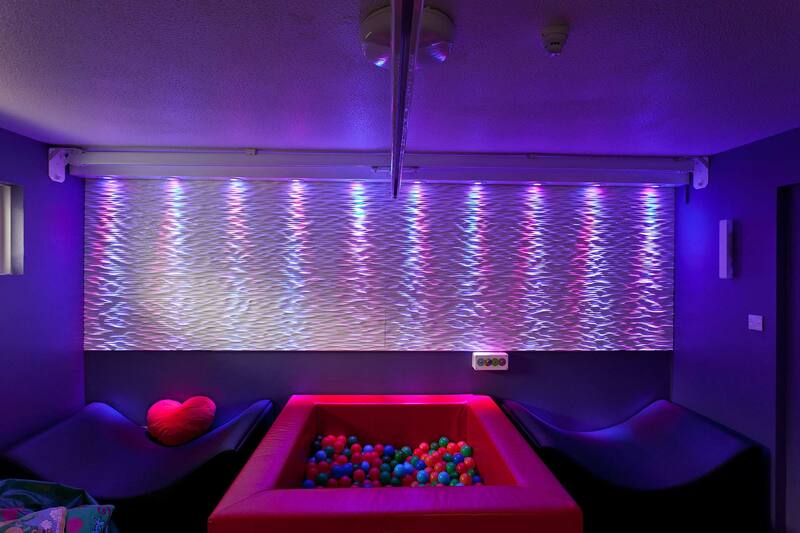 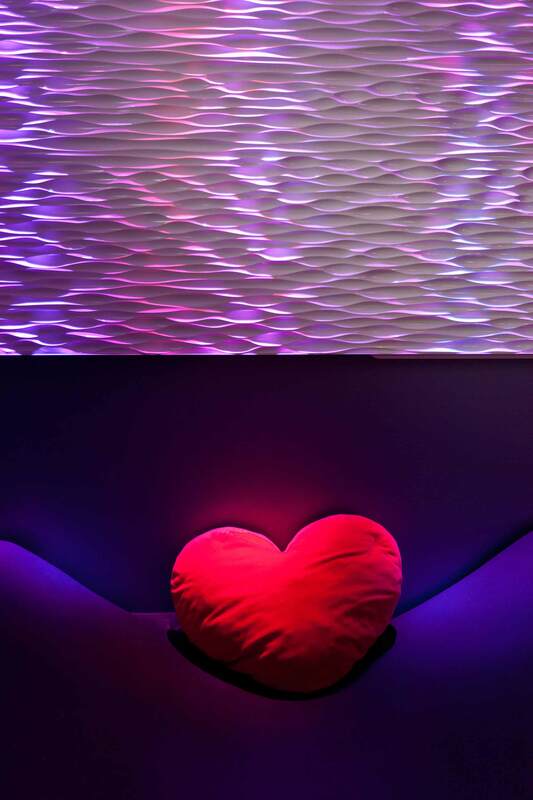 Along with the installation of a ball pool and safe resting spaces in the lounge area, we added a unique colour changing wall with deeply textured, infection control compliant wave effect panels, lit by coloured LEDs. 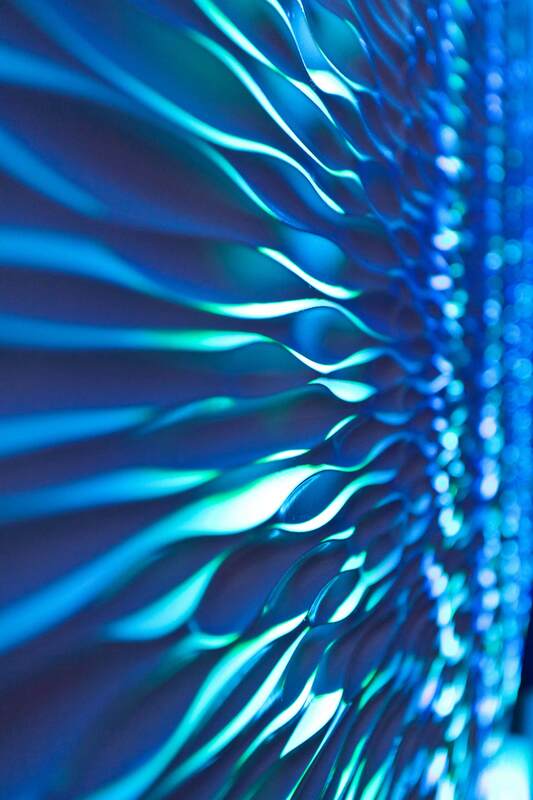 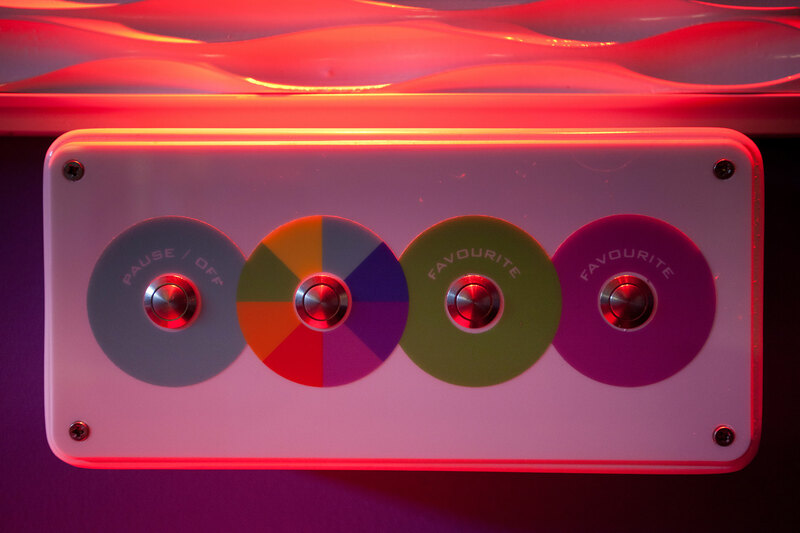 The lights can be controlled by a simple panel offering an interactive aspect. 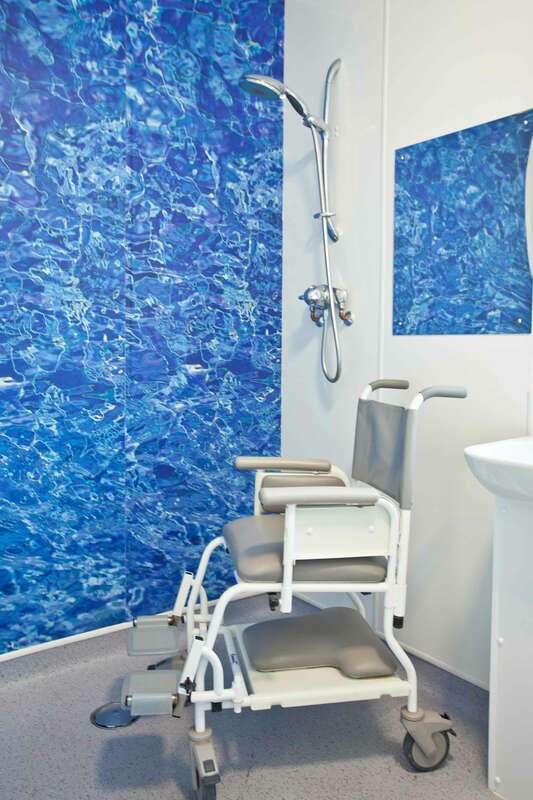 In the bathroom areas we added vinyl wall panels with water graphics and fitted shower heads with colour change LEDs to add sensory stimulus.